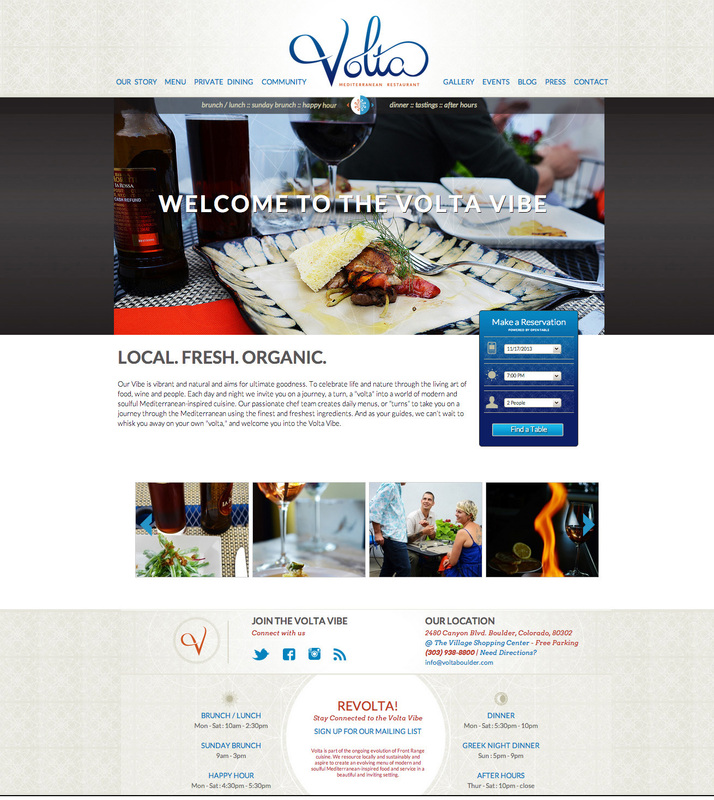 Volta is a new restaurant in Boulder offering Greek-centric fine dining in a vibrant atmosphere. Tripod Creative was brought on to design a logo and branding package, along with website design, business plan and accompanying photo shoot for their debut. Building their website on Drupal, it enables staff to edit menu items only the fly and rotate day/night menus at the click of a button.